Canvas prints are popular for fine art reproduction and photo enlargements. We use only the finest artist quality materials for our canvas prints. For a printing-like presentation, the canvas can be stretched on a wooden frame. Canvas can also be used for full coverage wall murals without any unsightly seams. We can print 10-foot widths and any lengths. Print your works of art through FGS. We can use our UV direct or latex printers to print your masterpieces. Rely on our finishing department for canvas stretching of the printed canvas. Buy Fildena 25 mg reference Technical Specs: Size: 120″ max width. Applications: Interior Design, Fine Art Reproduction, Theme Park, Exhibit & Displays. Products: Banners, Canvas, Wall Graphics. Applications: Interior Design & Fine Art Reproduction. Materials: Adhesive Vinyl, Specialty Vinyl. Applications: Interior Design, Outdoor Signage, POP/POS, Vehicle Graphics, Event Signage, Theme Park, Exhibit & Displays, Storefront Signage. The next great opportunity is right under your feet. 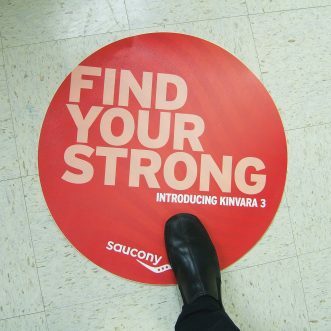 Floor graphics are a great way to get your message across and are perfect POP and event-based promotional advertising. 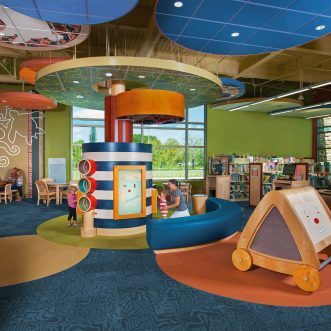 We have graphics that can be applied to most any flooring surface including carpet. Applications on ceramic tile are removable up to 6 months. Please contact your customer service representative for additional information. Applications: Interior Design, Event Signage, Theme Park, Exhibit & Displays. We offer many different systems of hanging banners and signs that will provide a big difference increasing the visibility of your image. 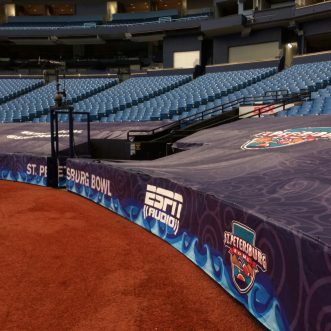 The most popular structures are the aluminum frame and pole systems for easy set-up, including dye sublimation graphics printed securely to frame with a heavy duty zipper. The frame collapses down for easy transportation. The printed fabric is taut, smooth and wrinkle free. Applications: POP/POS, Event Signage, Exhibit & Displays, Tradshows. 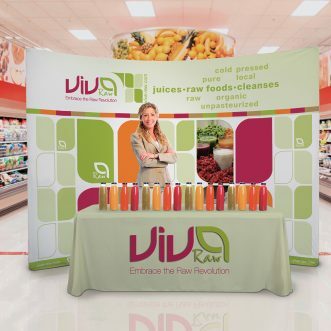 Our pop-up displays are designed to be used at trade shows and fairs and offer a quick and easy setup. We print UV direct with UV liquid lamination, or dye sublimation depending on the type of display. The final product maintains an excellent quality and anti-scratch resistant appearance. We offer several modern yet affordable structure options. Please contact our customer services department for additional information. Materials: Styrene, Banner, and Fabric. Applications: Event Signage, and Exhibit & Displays, tradeshows, lobbies, seminars, exhibits, and corporate events. Types & Sizes: Flat Pop Up: 8’ and 10’, Curved Pop Up: 8’ and 10’, and Expanding Display Kit up to 10’. Heavy duty paper prints that be can be framed, folded and laminated to suit your specific needs. We can print up to 62″ wide by any length! We specialize in oversize posters. Applications: POP/POS, Special Events and Temporary Promotional Signage. 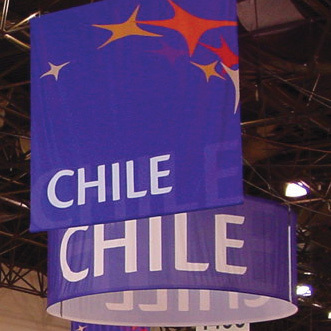 Retractable banner stands come in a wide verity of sizes and Styles. They are a very economical choice for displays compared to traditional trade show structures but still portray a professional look. High-resolution prints create a vibrant image on either supersmooth banner material or fabric. Our premium hardware will allow reuse of the retractable over and over again. Replacing your graphic to keep your message current is easy and convenient. Applications: POP/POS, Event Signage, and Exhibit & Displays, Seminar, Lobbies, and Corporate Events. 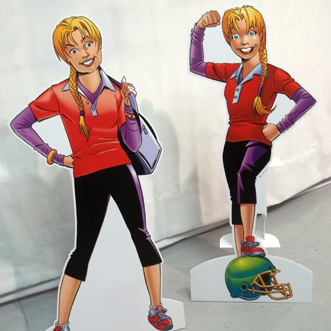 Typically printed on corrugated plastic or foam board, standees are routed to shape and have an easel back for easy display. Perfect for parties, special events or POP/POS promotions. Materials: Corrugated Plastic, Foamboard, PVC. Applications: POP/POS, Event Signage, Exhibit & Displays, Storefront Signage. Whether you need a full wall or a small section of your wall graphic, FGA has you covered. We have several adhesive materials that can be used on walls of almost any surface and removable graphics that won’t damage walls like a poster or sticker. 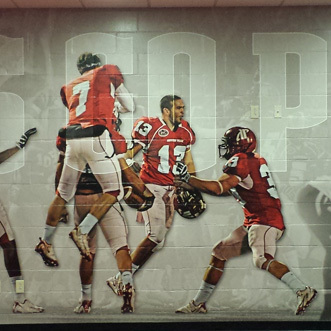 To eliminate unsightly seams in the print we offer wall graphics in heights of up to 10 feet. Manke any space vibrant with wall decals and graphics. We can transform bland, barren walls into works of art with our custom painted murals. Materials: Canvas, Adhesive Vinyl, Specialty Vinyl, and Wallpaper. 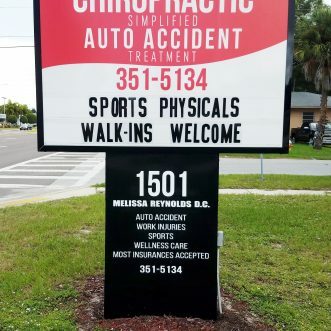 Applications: Interior Design, Outdoor Signage, Fine Art Reproduction, POP/POS, Theme Park, Exhibit & Displays, Storefront Signage, Daycares, Hospital, Museums, Conference Rooms, Traning Rooms, and Athletic Facilities. Materials: Acrylic, Polycarbonate, Styrene, Backlit Film, Banner, Fabric, Adhesive Vinyl. Applications: Interior Design, Outdoor Signage, Fine Art Reproduction, POP/POS, Theme Park, Exhibit & Displays, Storefront Signage. We have banner materials to suit every need you may encounter. 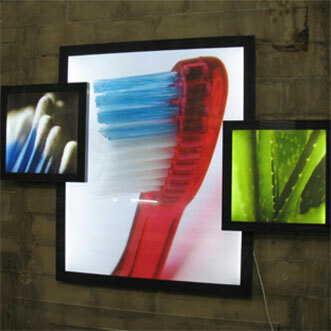 We have standard, backlit, mesh, and many more. Our expert finishing department can accommodate almost any requirement you have from pole pockets to custom shapes. We can print up to 10′ wide. 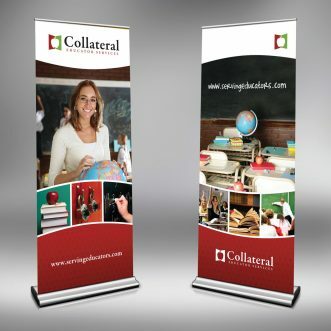 We specialize in high-resolution banners. It doesn’t matter if it is 1 banner or 1,000, we can meet your deadline. 12oz., 13oz., 18oz., Mesh or Backlit. Technical Specs: Size: 120″ max width; Thickness: 12oz Supersmooth, 13oz Banner, 18oz Banner, Backlit Banner. Applications: Architectural, Outdoor Signage, POP/POS, Fine Art Reproduction, Event Signage, Theme Park, Exhibit & Displays, Storefront Signage. 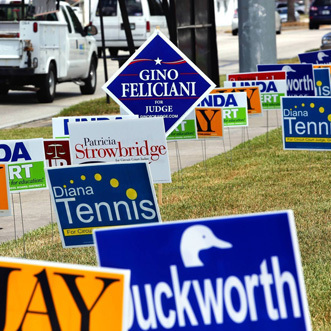 Products: Banners, Flexfaces, Retractable Banners, Political Signs, Construction Site Signs. A type of coating applied as a dry powder and then cured under heat, creating a hard finish which is tougher than conventional paint. 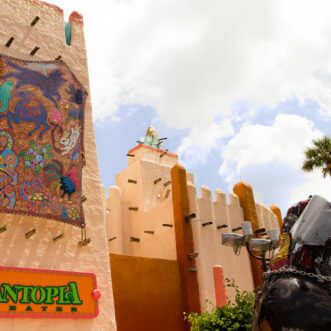 Poder coating created a brilliant hard coat finish that is perfect for theme parks, museums, and anywhere that requires long lasting signage. Materials: Aluminum, Aluminum Composite, Perforated Metals. Applications: Architectural, Interior Design, Outdoor Signage, Fine Art Reproduction, Theme Park, Storefront Signage, and Directional Signage. 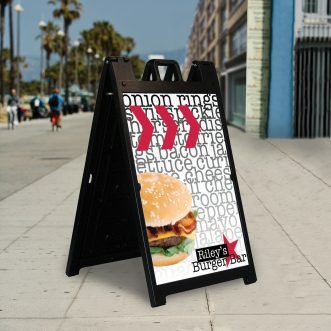 Side walk signs are an economical and great way to grab attention and increase visitors to a local business or event. The inserted graphics are incredibly easy to replace when information needs to be updated. They come in a variety of styles to suit any need. Applications: Outdoor Signage, Event Signage, Theme Park, Exhibit & Displays, Storefront Signage, POP/POS, Temporary Signs, and Restaurants. 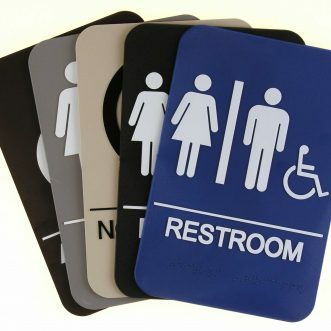 For graphics that provide identification, directions, or information, FGS has many ADA compliant signage products available. We have Braille raised and high contrast signage using universal markings for all architectural and construction markets. Add whimsy to a workspace or immersion to an exhibit with our custom printed ceiling tiles. We can produce one large continuous image or individual graphics. For non-traditional visual impact, printed ceiling tiles are a great choice. FGS provides a full range of construction-related products. Printed MDO board mounted to posts is a standard on most construction sites. For large scale projects, we offer fence mesh, which can enhance branding or announce what is “Coming Soon.” For temporary signage needs, coroplast is a great cost-effective option. Materials: Aluminum, Aluminum Composite, PVC, Banner, Mesh Banner. For architectural markets, we produce much more than just simple signage. We can create custom products that will complement and enhance any space. High ends materials such as acrylic, metal, and wood, can transform retail spaces, offices, and buildings. FGS has worked with many renowned architectural firms to produce stunning printed and fabricated elements. Contact us to see how we can help you turn your vision into reality with bold architectural graphics and materials. Materials: Acrylic, Aluminum, Aluminum Composite, Foamboard, Polycarbonate, PVC, Wood. Applications: Interior Design, Outdoor Signage, Fine Art Reproduction, Theme Park, Exhibit & Displays, Storefront Signage. FGS has many dry erase options to suit the end result required. Dry erase lamination, applied to printed vinyl, can be mounted to any number of materials for either short-term or long-term applications. 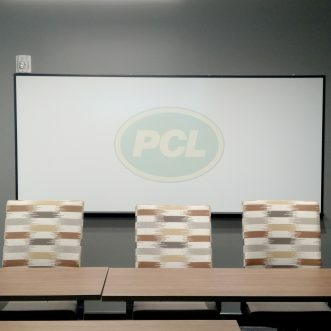 Liquid lamination serves as an economical dry-erase option for direct printed substrates. For heavy-duty environments, such as hospitals, specialized dry-erase acrylic is available and can be reverse printed for the ultimate in print protection. 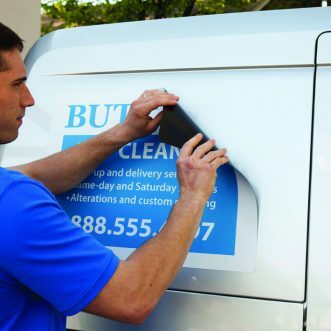 From car magnets to promotional products, we offer a full range of magnetic media products. 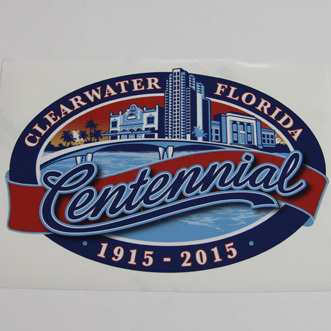 Direct printed in full-color results in vivid magnet prints. We also offer magnetic receptive material for status boards and displays that need frequent updating. Magnetics are perfect for temporary signage. We can direct print or vinyl mount depending on the size of the product. We can even apply magnets to other substrates for interactive, informative displays. Technical Specs: Size: 24″ max width; Thickness: 020, 030. Applications: Outdoor Signage, POP/POS, Vehicle Graphics, Event Signage, Exhibit & Displays, Storefront Signage. Products: Vehicle Graphics, Promotional Products, Storage Emblems, and Shelving Nameplates. Materials: Corrugated Plastic, PVC, Adhesive Vinyl, and Benner. Applications: Outdoor Signage, Event Signage. We offer various types of tents from Standard to Deluxe. Our most popular is the 10′ tent, but we also offer 6′, 8′ 15′ and 20′ options. 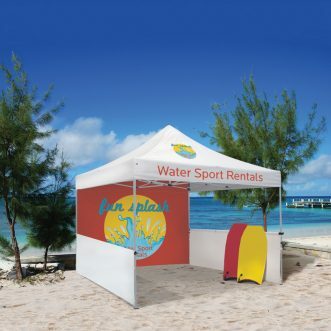 Our tents have a quick and easy setup features and optional side walls. Please contact our customer service department to learn more about your many options. 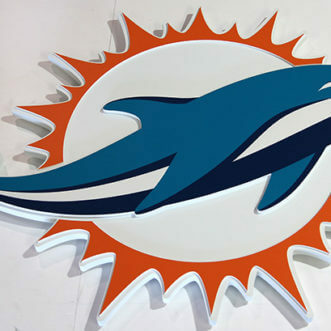 Applications: Outdoor Signage, Event Signage, Exhibit & Displays, and Sporting Events. 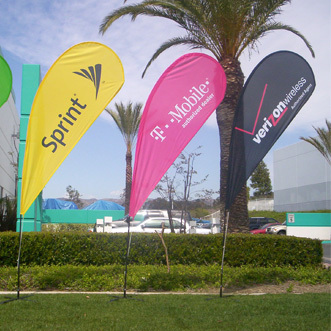 When it comes to Flags & Pennants, FGS is your best source. Printed in full-color dye sublimation for single or double-sided images. perfect or indoor or outdoor applications. Flags of all types are available. Suggested products include promotions, logos, corporate images, feather, custom, logo, pennants, banners, flutter, festive, sail signs and many more. Applications: Outdoor Signage, Event Signage, Exhibit & Displays. Types & Sizes: Tear Drop: 6′, 8′, 11.5′, 15′ , Razor: 7′, 9′, 13′, 17′ , Rectangle: 7′, 10′, 14.5′ , Sabre: 9′, 13′, 17′. 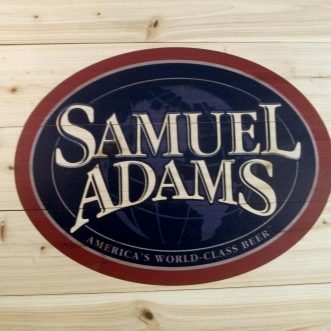 We can print on most types of wood up to 2″ thick and 10′ wide. Print with white ink to create unique, creative effects only attainable through printing on wood. Perfect for creating custom table tops, decorations, and multimedia art pieces. Technical Specs: Color: White MDO Board; Size: 48″ x 96″; Thickness: 1/2″; Any other type of wood must be special ordered. Applications: Architectural, Interior Design, Outdoor Signage, Fine Art Reproduction. 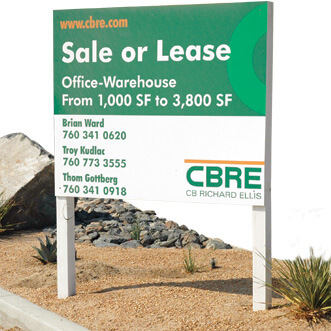 Products: Construction Site Signs, Dimensional Signs, Table Tops, and Displays.